Reminiscent at times of an old-timey Swedish village, Andersonville, a north-side Chicago neighborhood in the southwest quadrant of the Edgewater community, has maintained much of its heritage with local spots like the Swedish American Center Museum. Known for their swedish pancakes and lingonberry jam are the area's traditional European-style cafés and bakeries. The neighborhood's Midsommarfest is an tribute to Scandinavian dance, music and food and it attracts visitors from around the the world. 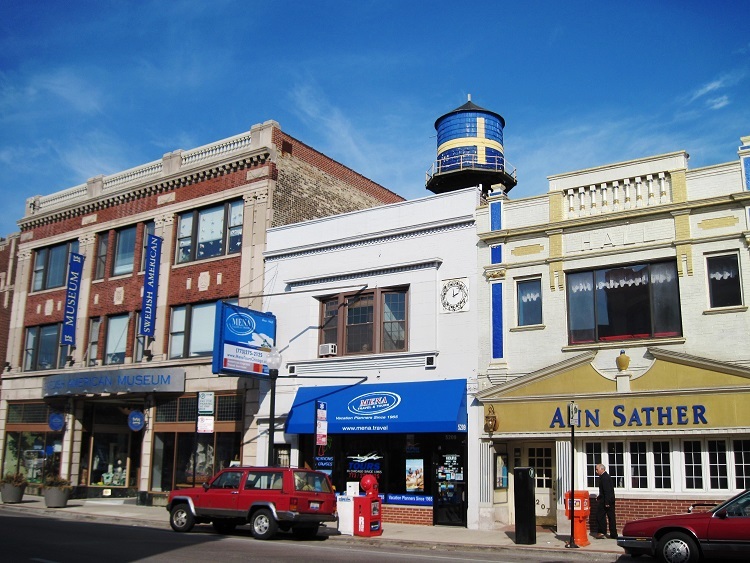 Filled with attractive residential streets that are lined with mature trees and an assortment of housing options, Chicago's Andersonville neighborhood offers a typical mix of two and three bedroom flats, condos and single-family homes. In addition, there are some wonderful Victorians that have been restored to their vintage prime. The limestone work on dozens of walk-ups has been incredibly refurbished. Don't be surprised to see a few gargoyles on the corners of 19th century buildings. Boundaries: Magnolia Avenue to the east, Ravenswood Avenue to the west, Winnemac Avenue to the south, and Victoria Street to the north.